You may have heard about the new game that everyone’s playing: Pokemon Go. 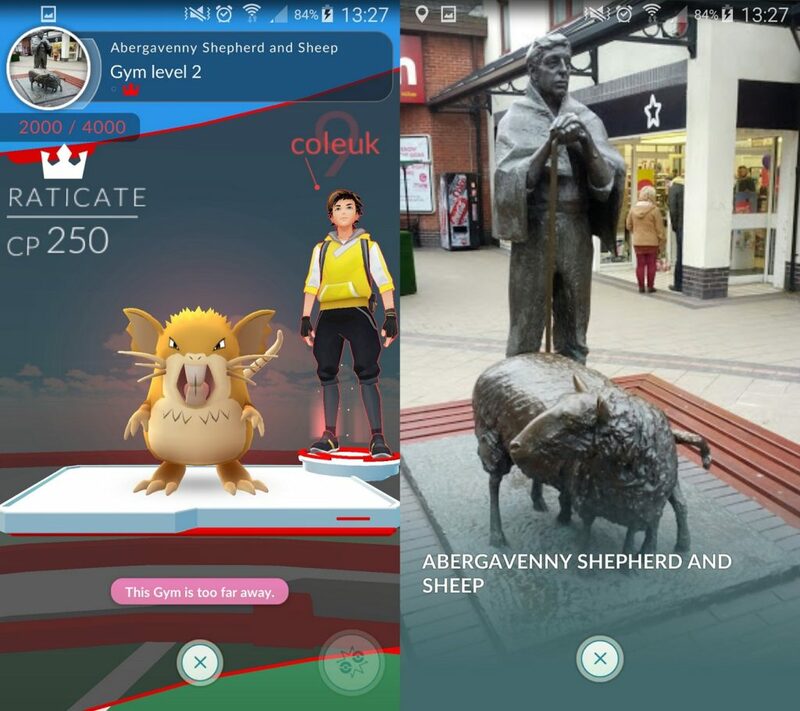 It’s a location-based game which allows you to catch Pokemon while exploring the real world using augmented-reality. Players will see Pokemon appear as they walk, but also be able to collect items as rewards from landmarks in the town, or even capture a ‘Gym’ for your team in some locations. I spent a few hours walking through town with Arthur yesterday playing the game and we both really enjoyed it. There were plenty of ‘Pokestops’ and a handful of Gyms in town – enough that it gave us reason to walk literally miles. I think it’s a really impressive way to motivate people to get out of the house, and look at places of interest that they would otherwise walk past oblivious. We both chose Team Instinct (Yellow) and at the time of writing held all 4 gyms easily accessible from the middle of town. Either join us on Team Instinct and help us defend these gyms, or pick a different team and challenge us for them – let us know which team you picked and your username in the comments and we’ll keep an eye out for you! 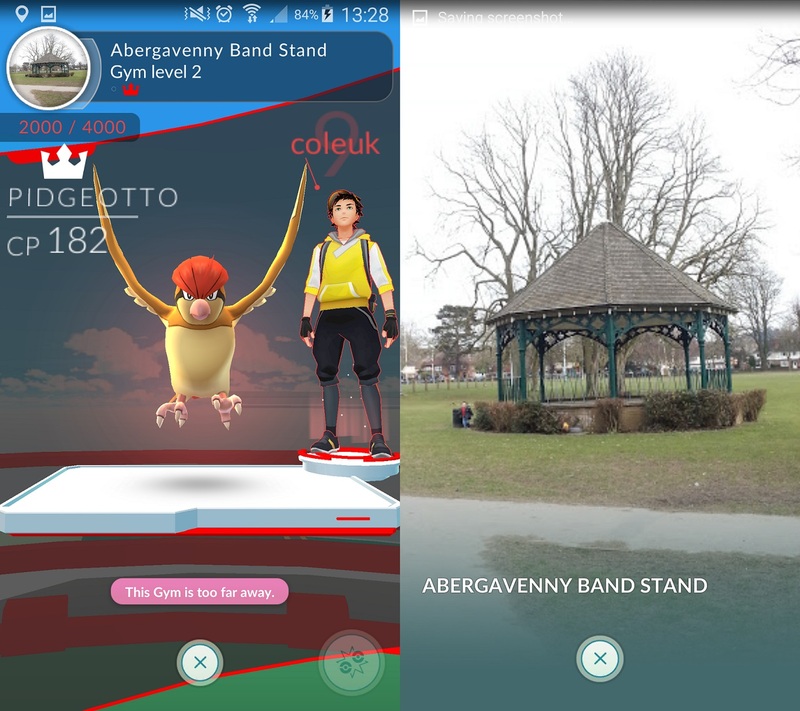 The Pokemon Go FAQ says that you should share knowledge of which Pokemon you found in different locations, so assuming the locations don’t change, the least common ones we found were Dratini in Bailey Park (near the Gym at the Band Stand) and Jigglypuff at the Wilkinsons end of Cibi Walk (near the Pokestop called ‘Cibi Walk’). 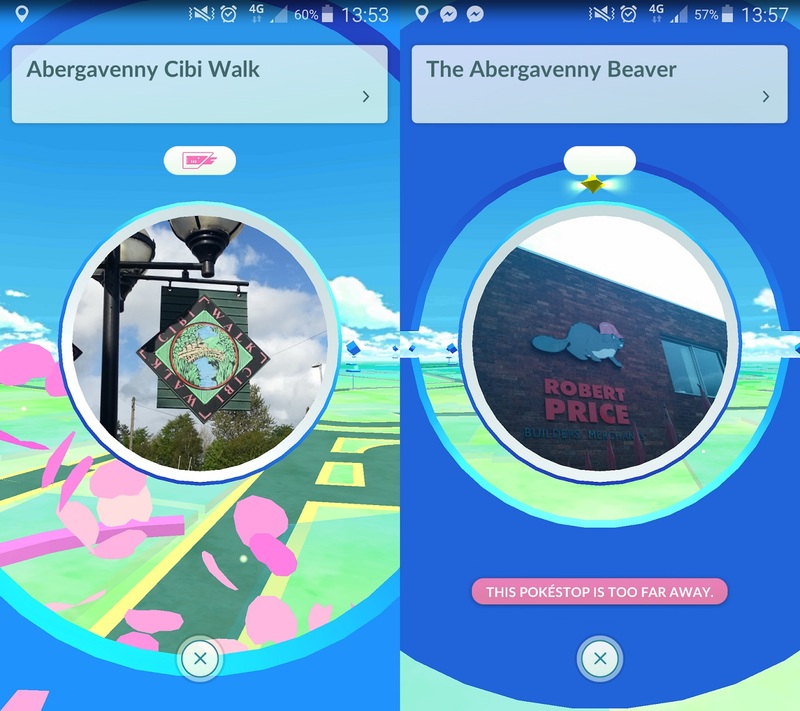 Tell us in the comments if you have any luck catching either in those locations, and let us know what you do find (and where). 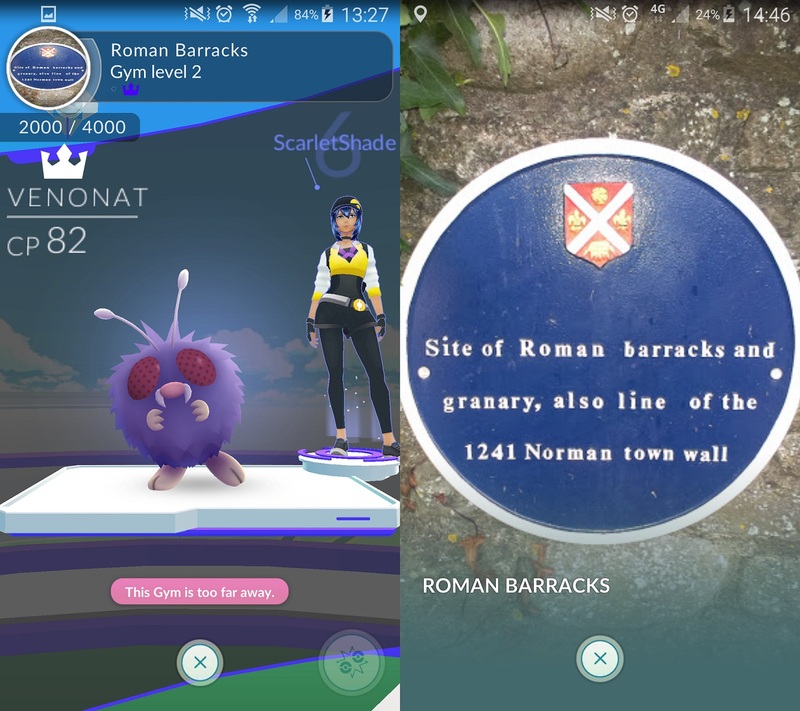 As well as these gyms, there are also ‘Pokestops’ (which reward you with in-game items), also at places of interest. Below are a couple of examples, but the town has a huge number. Hope this has been helpful. Keep us updated on what you find and we’ll do the same! Needs more real-time updates for this to be a successful post. The Pokestop by Aldi (the boars head) is continuously charged with lures as people are waiting for takeaways. 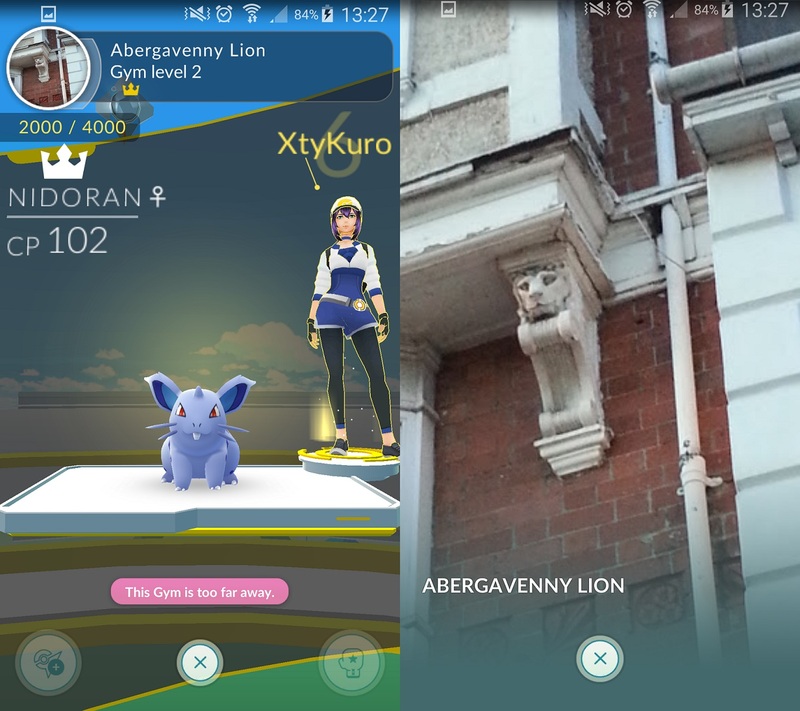 For more local info and updates on Pokemon Go in Abergavenny check out the facebook group ‘Pokemon of Abergavenny’.